Janet A Gervers is an Abstract Painter, Photographer and Digital Artist in Santa Monica, CA. 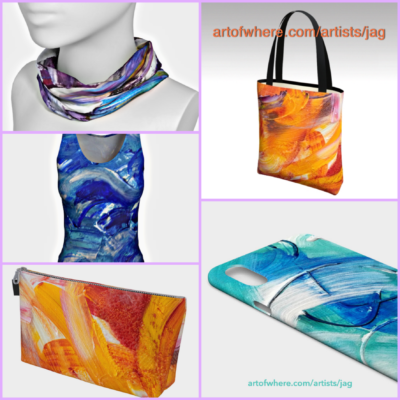 Starting life as an Artist, with a professional career in the design field for over 20 years, Janet circled back to her art after a move to Venice, CA in 2001. Since she was a graphic designer and interactive artist, it was natural to delve into Digital Art, using a combination of Photography, and software such as Adobe Photoshop and Flash to create new works of art. She also started an artist group, Venice Art Collective , from 2003-08 that gave Los Angeles artists the opportunity to show their art work in Venice and Santa Monica art galleries, venues and even the Abbot Kinney Festival in 2003 and 2004. Janet got back into painting around 2008 and picked up where she left off over 20 years earlier with abstract acrylic paintings, using broad brush strokes and the palette knife with layers of thick textured paint. Recent paintings are on display in the heart of downtown Culver City. Get details on recent paintings. From graphic and print design from her Cincinnati Oh, with a Bachelor of Science in Graphic Design from the prestigious School of Design, Architecture, Art & Planning at the University of Cincinnati, Janet made a prolific move to San Francisco, CA in the mid-nineties, and is one of the original Silicon Valley website and interactive designers. She has held positions at a number of startups in San Francisco and Los Angeles, plus the Jet Propulsion Laboratory in Pasadena, CA. After moving to Venice, CA in 200o, she returned to her art roots during the same time she started her design studio, Jagmedia, elevating websites and branding. Clients are in the following areas: professional services, medical, legal, creative, consultants and organizations. In-depth experience in these fields creates a unique opportunity for businesses interested in more than just a “pretty picture.” Visual communication plus social media and content creation is applied in a strategic manner for improved search engine visibility . Janet also is the Publisher and Editor of the Abbot Kinney 1st Fridays Blog catering to LA Millenials interested in beach lifestyle in Venice and Santa Monica. She is an original content creator with a team of contributors on the blog. The influential blog has a Page 1 Google rank in multiple categories and a big social media following. Find out more: www.abbotkinney1stfridays.com. 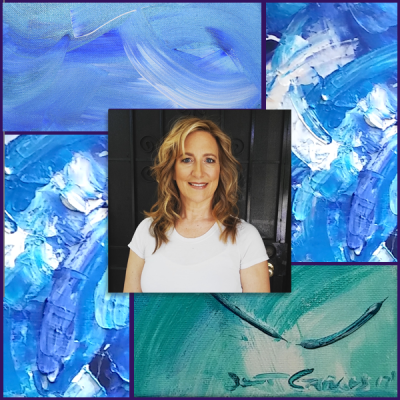 First and foremost an Artist, Janet’s paintings and digital art exhibited in galleries in Venice, Santa Monica and various locations in Los Angeles. Her artistic talents extend to photography and painting plus the digital medium, where she got her start in the Los Angeles, CA art world. Creativity is key in Janet’s life – with the mission of using her creative talents to visually beautify the world and spark creativity in others.